There is a secret to the perfect Instant Pot Meatballs, and we are going to share it with you. This is a quick and easy 30-minute recipe, perfect for those busy work and late after-school nights. You can also use this recipe for spaghetti, meatball soup, or even for bbq meatballs. Are you ready to learn the secret to the perfect Instant Pot Meatballs? 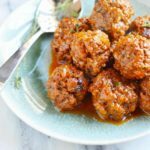 Can I cook Meatballs in the Instant Pot? By all means, yes. 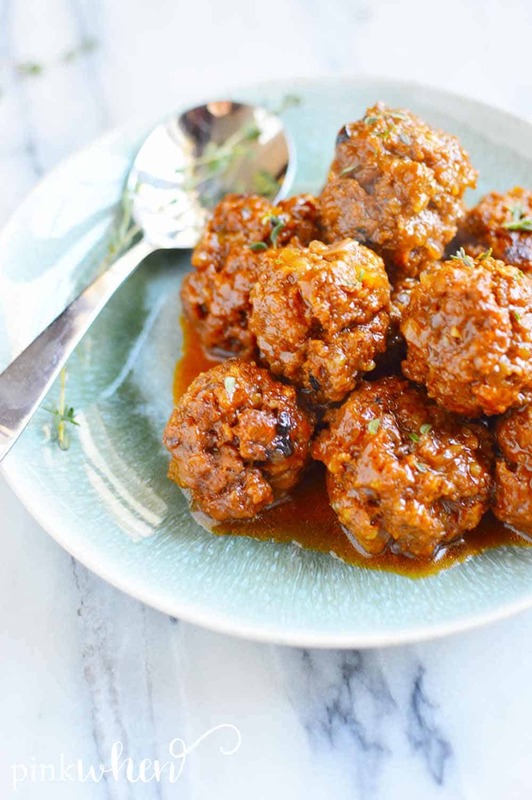 Instant Pot Meatballs are a quick and easy 30-minute recipe. You can make these meatballs for spaghetti, for meatball soup, or add your favorite barbecue sauce to make these Instant Pot BBQ Meatballs. This meatball recipe is so delicious, and it’s made in a matter of minutes. How long does it take to cook meatballs in an Instant Pot? I LOVE making these bbq meatballs to go with all kinds of pasta dishes, and it’s quickly become one of my favorite staple recipes. 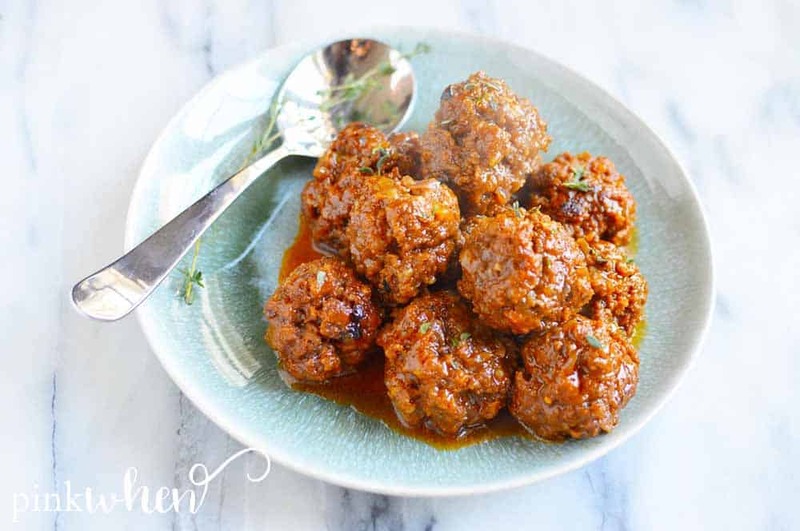 We all love how this meatball recipe turns out and I love that it’s made in the instant pot so they’re quick and easy. The total cook time for Instant Pot Meatballs is about 30 minutes from start to finish. The only thing better than perfect meatballs is perfect bbq meatballs made in the Instant Pot. They make dinner so easy, which is exactly what we need with our busy schedules. You’ll be excited to have this moist, savory, delicious meatball recipe. While there is a little prep work with this recipe, there still isn’t much to it. These Instant Pot Meatballs just involve putting your meatballs together and then putting them in your Instant Pot to cook. But of course, you’ll want to scroll down below to see the full recipe for these perfect bbq meatballs. 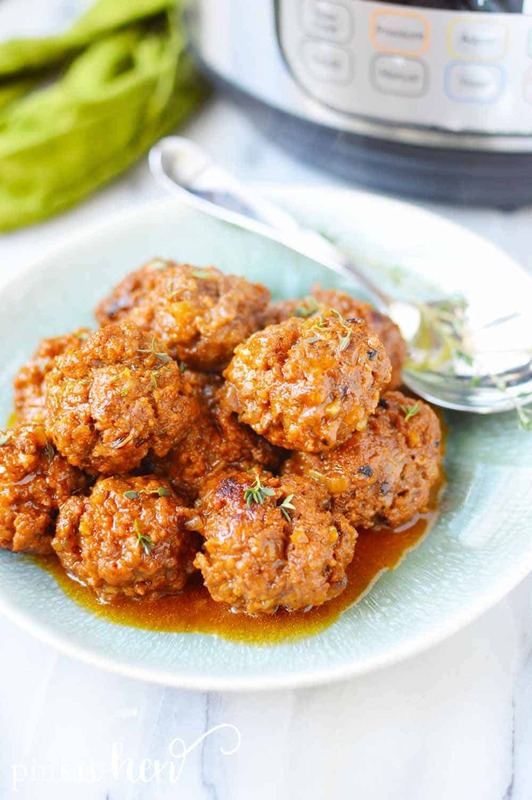 What ingredients do I need to make Instant Pot Meatballs? and barbecue sauce if making BBQ Meatballs. Do I Need to Use a Trivet for Instant Pot Meatballs? You will want to use the trivet and place it at the bottom of the Instant Pot. Pour the stock in the Instant Pot before placing the trivet. When you are ready, make sure to stack the meatballs evenly and take special care not to squish the meatballs that are at the bottom on the trivet. What time and setting do I use for Instant Pot Meatballs? When you are ready to make the meatballs, make sure the sealing ring is on the lid securely and then twist and lock the lid in place. You will enter 6 minutes of cook time on manual mode and then allow for a natural release. 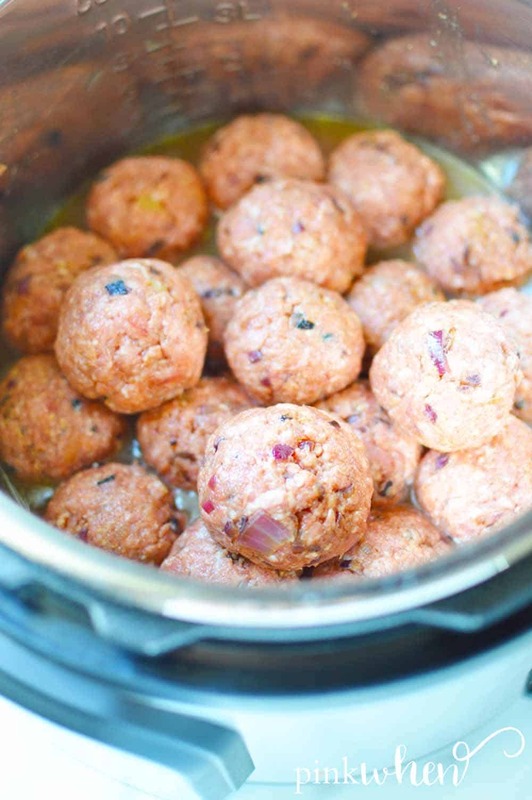 If the meatballs are larger in size, you’ll want to adjust and increase the cook time. If you like your meatballs a little smaller, you can also adjust accordingly. Generally speaking, 6 minutes on manual should work perfectly. When I make these BBQ Meatballs I make sure to add the barbecue sauce to the meatball mix, as well as baste the meatballs before cooking. This really seals in the flavors and makes for the best Instant Pot BBQ Meatballs. I also love that these meatballs don’t have any eggs in them but still stay together perfectly! I know you’re probably drooling over these easy Instant Pot Meatballs, so I won’t keep you waiting much longer. You’re going to love this meatball recipe. 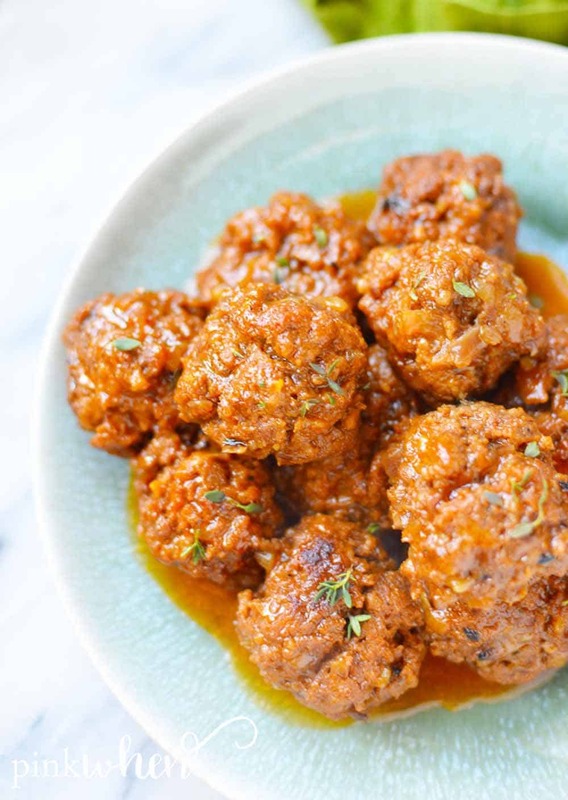 Enjoy these moist and flavorful Instant Pot Meatballs! They’re so delicious and I know you’re going to love them. Be sure to let me know how yours turn out – I love hearing about your results. Super simple and oh-so-delicious! 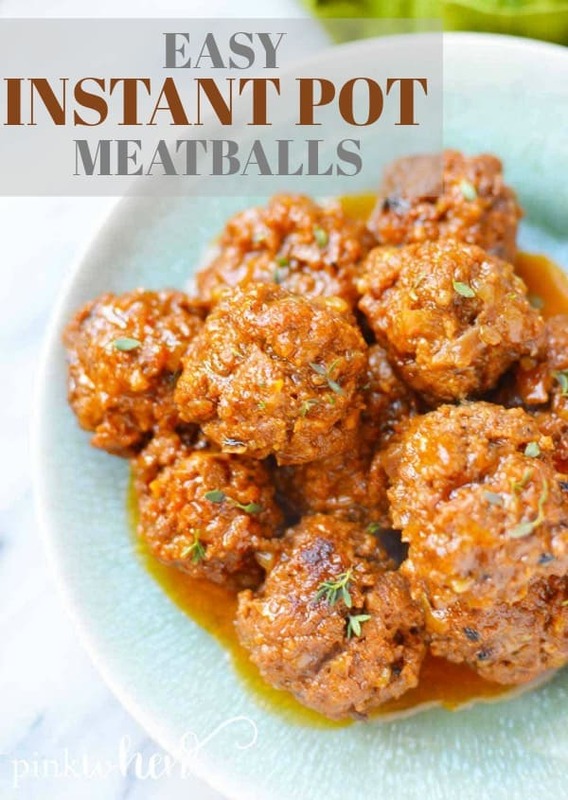 If you are looking for an awesome Instant Pot recipe, these Instant Pot Meatballs are AMAZING. Start by heating the oil in the inner pot using the sauté setting on high, then cook and brown the onions. You can also use a small nonstick pan, if you prefer. As they are starting to brown in the pot, pour in some of the bbq sauce to caramelize them. When they are done, turn off the instant pot or burner and remove the onions. In a separate bowl, add the ground meat, thyme, salt, pepper, breadcrumbs, and 1 cup of bbq sauce. Set aside. Pour the stock into the bottom of the instant pot and then set the trivet into the bottom of the inner pot. Mix all of the meatball ingredients together thoroughly, adding more bbq sauce or breadcrumbs as needed. make uniformly sized meatballs and set them into the trivet. Layer the meatballs without squishing the bottom ones into the bottom of the trivet. Brush the remaining bbq sauce on top of the formed meatballs. Check your sealing ring and then twist on the locking lid. Set the valve to sealing and select manual mode for 6 minutes. You may want to adjust your cook time depending on the size of your meatballs. When the pressurized cook time has passed, let the pot naturally pressure release for an additional 6 minutes before carefully manually releasing the rest of the pressure. There will be quite a bit of liquid in the pot around the meatballs, most of which is fat so you'll want to strain the meatballs. Allow the meatballs to cool for a few minutes before plating. Serve and enjoy! Omitting the barbecue sauce means you can use this meatball recipe for spaghetti or for meatball soup. To seal in the flavors for barbecue meatballs, add the barbecue seasoning to the meatball mixture as well as baste the meatballs before cooking. Consider making these in a large batch and freezing the rest for later. You might also like these homemade Italian Style Meatballs, or this easy cheesy garlic bread recipe. 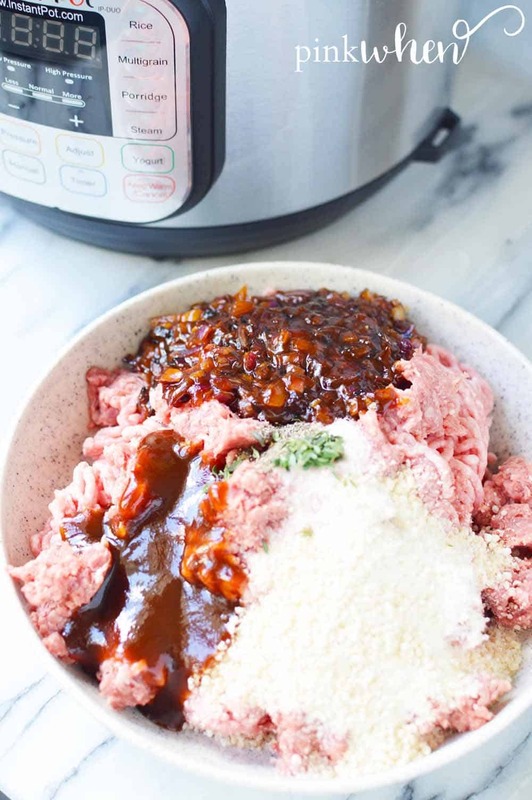 If you loved these instant pot bbq meatballs as much as we did, try my favorite easy instant pot recipes, like this Instant Pot BBQ Pork Recipe. Or maybe this delicious Instant Pot Quinoa Grain Bowl! You can find a long list of Easy Instant Pot recipes here.